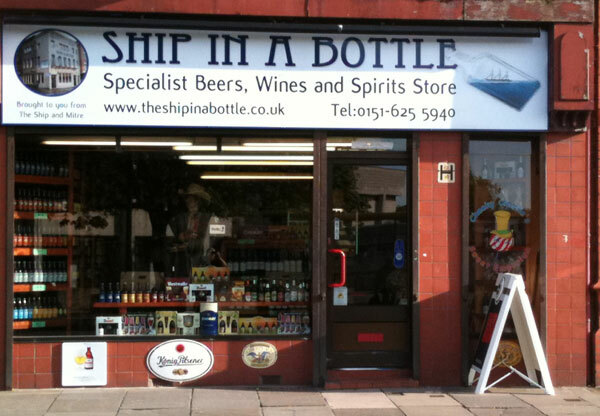 The Ship In A Bottle is a specialist beer shop in Merseyside selling a range of over 400 products (mostly beer). They've stores in Heswall, West Kirby as well as Whitechapel, Liverpool. Look out for baron ratings for these Ship In A Bottle beers soon, and a big thank you to @ShipinabottleWK for sending them through to me! Nice striking labels. Strange coincidence as I was just perusing their website! Yes the labels are bold but nicely done, looking forward to trying them. How funny you were on their website!